Xbox 360s breaking down after using Kinect is just a coincidence, says console maker. 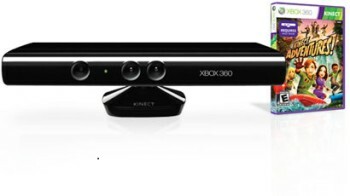 Microsoft has denied that its motion controller Kinect causes the dread "Red Ring of Death" in older Xbox 360 consoles. This denial comes after a segment on the BBC Radio 4 program You & Yours that featured a number of people who had experienced hardware problems after using the controller. The program interviewed ten-year-old Adam Winnifrith, and his father James. Both expressed their dismay that the Xbox 360 was broken, and both were convinced that the brand new Kinect controller was the cause. Unsurprisingly, Microsoft had a different take on the situation, saying that any hardware issues that people might be experiencing following the use of Kinect were purely coincidental, and that there was no correlation between the RRoD and Kinect. Without a lot more information, like how many of Kinect's eight million users have actually experienced Red Ring problems, it's hard to do anything other than speculate about the problem. It's not outside the realms of possibilities that one of the various Xbox 360 chipsets doesn't like the controller as much as it should, but it's equally true that, as Microsoft says, it could all be just an unfortunate coincidence.